I love this Teenage Mutant Ninja Turtle Snack because it’s nutritious and delicious. It took me less than five minutes to make! 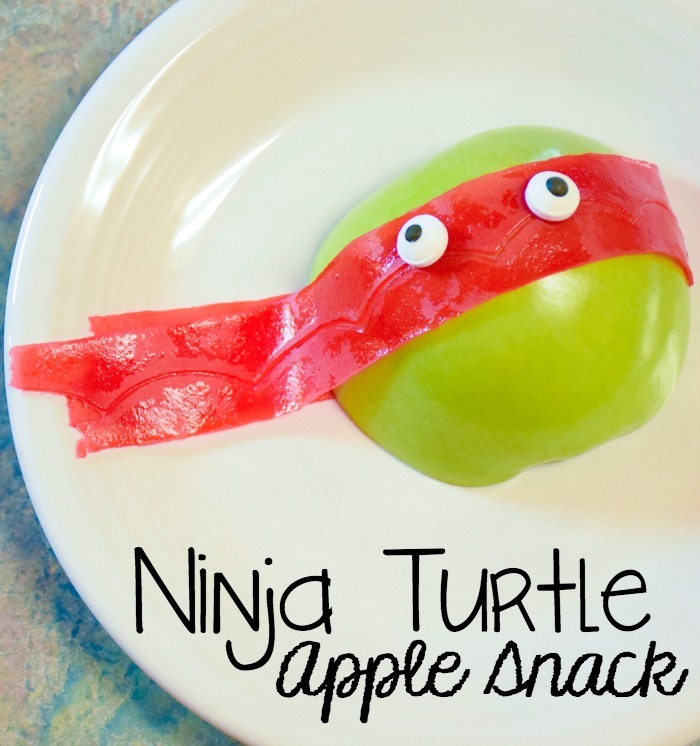 I was inspired by these awesome TMNT apples over at BentoLunch. Aren’t they totally cool? Serve to your totally radical friends and fam!